MLB news thrown at the speed of Twitter. 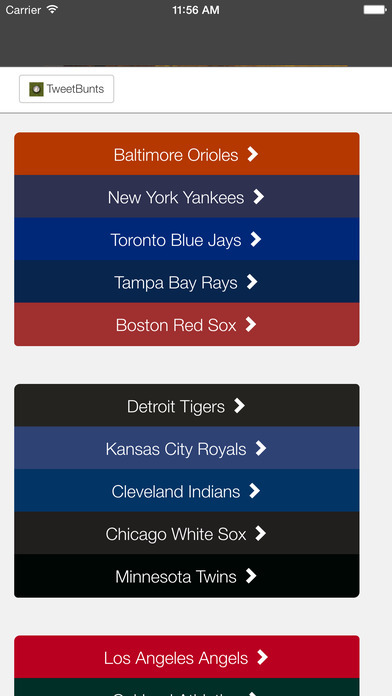 Tweets are displayed for each MLB team in a color-coded and divisional sorted format. - Team color coded tweets for easy viewing. - Links inside tweets open up in a built-in browser window so you never have to leave the app. - Just touch the team name and discover! From the makers of MLvalue.com - "Respect the season".